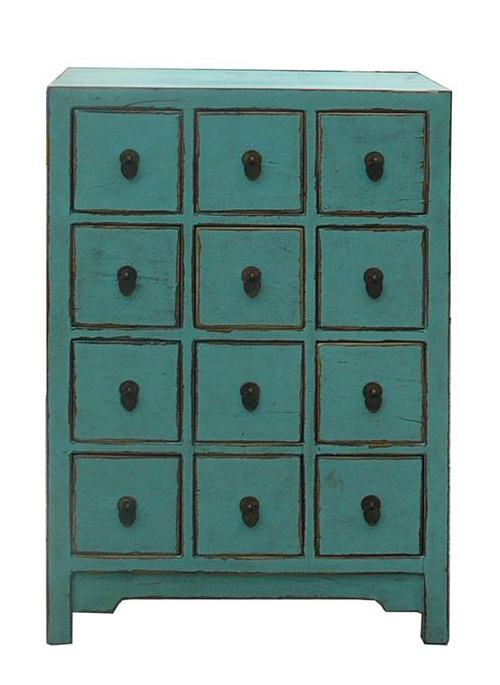 This elm wood Chinese Rustic Turquoise Cabinet Side Table with twelve small drawers for accessories storage. Its bright light color will enrich any boring room. $895. Buy here.